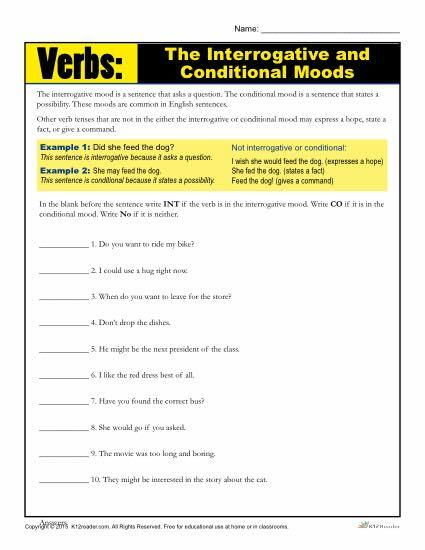 Practice using the interrogative and conditional moods properly with this worksheet on verbs. Students will read through a list of sentences and decide which mood the sentence is written in. This learning material is ideal for students in the 8th grade.